You are Precious. | The Stories Beneath the eyes. The ideas are quite detached. Get this: you never want to meet someone like her, 1. You will meet someone like her, 2. Then the advice not to give yourself too early, 3. You’re a gift, 5. All are good ideas, but each idea is just hanging on it’s own. I apologize for the late response. I missed out on the notification of your comment. This piece is actually a part of my text conversation with one of the close friends of mine. 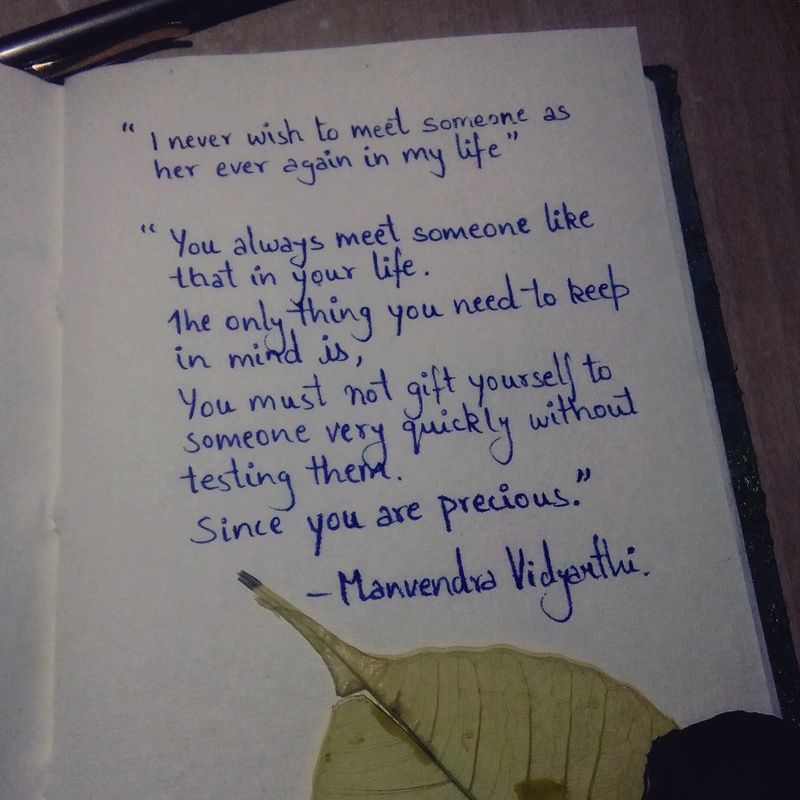 we were having this conversation and she texted me the first line of this piece, “I never wish to meet someone as her ever again” (This is why I kept it in different block of inverted commas). The second part of the writing was my reply to her text. I hope this clears the part that you found tricky 🙂 If it still remains tricky then I promise that I will try my best to express my works in clearer manners.